Avon has long been, and is today, the pillar that holds up the credibility of the direct selling industry. It has unintentionally lent legitimacy to multi-level marketing (MLM) schemes that sold outrageous health scams, some that were sued by financially ruined consumers and others that were shut down by regulators for pyramid fraud. By their association with Avon as “direct selling” companies, blatant scams are aided in persuading people that they are legitimate businesses. Anyone who has ever questioned the validity of any multi-level marketing company has had to answer the defiant challenge: “Are you saying Avon is also fraudulent?” A stalwart of the Direct Selling Association, Avon is, de facto, multi-level marketing’s greatest ambassador. But, in recent years, the tide may have reversed. Whereas Avon used to shower credibility upon MLM, now MLM may be corrupting Avon. Something very basic has shifted at Avon especially in the last 6 years, and that shift is now having major, negative consequences. Avon is increasingly called a pyramid scheme by Internet critics and some ex-salespeople. “Channel stuffing” – basing “sales” on increasing the number of salespeople who are induced to buy company products – appears to be an official strategy to offset declining consumer demand for the Avon brand and a recessionary economy. The drive to constantly add salespeople even as sales decline and as salespeople sell less on average, has led Avon to the unseemly practice of info-mercials that hype an illusory “income opportunity” to desperate and unemployed people. Now Avon is being investigated for possible violations of the Foreign Corrupt Practices Act, i.e., corrupting officials of foreign governments with bribes. Avon is reportedly also being investigated in China for violating China’s anti-pyramid scheme law. In the US, shareholders are filing class action lawsuits against the company’s board. Today, Avon appears to be teetering between its traditional direct selling model on which it built a renowned brand with a loyal customer base and its newer multi-level marketing model, championed by the likes of Amway and Herbalife. The new model is based upon hyping an “income opportunity” for salespeople. It shapes its marketing message less on its consumer product or service and more on its “financial product” that is akin to a speculative security, a pay day loan or a sub-prime mortgage. Recessionary high unemployment has become Avon’s marketing focus, not beauty and health needs. Few on Wall Street have acknowledged this profound, strategic fork in the road for Avon. This is probably because few Wall Street analysts have any clue as to how multi-level marketing works. MLM is a black hole within financial reporting. Most analysts only focus on sales volume and product sector trends and don’t examine the MLM sales model or marketing practices. Multi-level marketing operates almost invisibly to Wall Street eyes. It is not understood as a specialized industry with distinct legal, regulatory, ethical, marketing and economic parameters. Avon made its fortune in the old model, but it is an amateur and a dilettante in the brave new world in which brands, pricing and product quality are secondary to the cultish arts of selling dreams and endless chain income promises. Avon’s traditional sales model empowered independent salespeople to develop repeat customers based upon Avon products’ quality, pricing and consumer demand for the Avon brand. Widespread Avon-salesperson-failure meant Avon-corporate-failure. The other model, multi-level marketing, entices consumers to become salespeople with offers of bonuses and commissions tied to recruiting other salespeople, who are similarly rewarded to continue the recruitment chain. It ignores factors of market saturation. It offers an “income opportunity” based on continuous, unlimited recruiting and then selling products to and collecting fees from the newly recruited salespeople. Some MLM salespeople do sell products to retail customers (who are not also other salespeople), but the business existentially depends on the salespeople themselves as a major source of revenue. The retailing activity of the salespeople, at whatever level it occurs, adds to the company revenue but is seldom profitable for the vast majority of the salespeople. 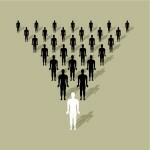 In the MLM model, widespread salesperson-failure could actually mean greater company-success. The MLM companies also do not necessarily depend on positive market trends for their various product types, consumer awareness of their brands or even on positive economic conditions in the countries where they operate. This is because MLM’s defining product, the “income opportunity,” is intangible and “limitless.” It is a “financial product”, not a commodity or a service. When markets for company products decline, as during a Recession, consumer demand for an “unlimited” income opportunity actually increases. In that environment, many consumers will invest personal capital (inventory, fees, marketing costs, time, effort, etc.) in pursuit of a company’s promise of income, while they would not spend money, as retail buyers, on that company’s products. There is, therefore, a compelling tendency for any direct selling company to slide toward exploiting the rising needs and hopes of consumers for income when demand for the company’s products declines. MLM has codified this tendency into a business model. In the MLM model, revenue is based upon continuously recruiting salespeople. This salespeople-generated revenue should properly be defined as “capital investment”, not sales. The problem with the MLM “income opportunity” model is that the product (the “unlimited” income opportunity) is bogus. It does not exist. And, “unlimited” expansion, the foundational principle of MLM, is impossible. The promise offered to consumers is illusory. The pyramid model in which each person recruits more “below” must always place the vast majority in the lower ranks where a recruitment-based income – by design – can’t be possible. For a very few to be profitable, nearly all others cannot be. As the limits of the falsely advertised “unlimited” expansion are reached, those in the bottom lose their investments. They quit the schemes in large numbers usually within a year and then are replaced with new hopefuls. The “business” continues as long as the schemes can find new recruits (investors). Bad economic times produce many new potential recruits. Bad times for products are good times for sellers of hopes and dreams and purveyors of “independence, be-your-own-boss, can’t-get-fired, 20-hours-a-week-for-financial-security, anyone-can-do-it” income schemes. In reality, adding salespeople during a Recession only harms the members of the existing sales force who are struggling to build a sustainable retail customer base in a shrinking market. The company’s constant recruiting of more salespeople only adds more competition. The real estate market, for example, could not be expanded or improved by merely signing up more realtors. But this is precisely what MLM companies do. The MLM model can enrich the company as it churns through thousands of “failing” sales people every year. In fact, data show that 99% of all MLM salespeople do not earn a net profit. Whereas true direct selling depends on sales revenue, the MLM model demands an annual infusion of new capital investments (product purchases, fees, salesperson-financed marketing and recruiting expenditures) from the salespeople. With 99% of them losing money, the salespeople “churn” (quit) at a rate of 50%-80% annually. Most of the sales force/investors, therefore, must be replaced every year. Without relentless recruitment of new salespeople, the MLM company would collapse quickly for lack of capital, the salespeople being the source of that capital. The “profit” of the company and of those recruiters at the top of the sales pyramid depends upon the lost investments of those below, hundreds of thousands of “failed” salespeople. Avon appears to be sliding inexorably into the MLM recruitment camp. Once that course is fixed, there is little chance of reversal. Avon revealed that it was focusing on selling an “income opportunity”, more than cosmetics, in the largest advertisement in its history, delivered to the largest television audience of the year. In Avon’s 2009 Super Bowl television commercial Avon’s “income opportunity” was featured, not its cosmetics. To find out more about the “opportunity” the ad advised, “contact an Avon representative.” In the midst of the Great Recession, while the cosmetics industry was contracting, and Avon’s revenue was declining, Avon used the Super Bowl to claim it could solve consumers’ income problems. But does Avon really offer an income opportunity worthy of proclaiming it in a Super Bowl ad? Avon does not disclose the data needed to answer that question verifiably. Nowhere on its website or in is SEC filings are income averages, dropout rates, sales costs, or annual recruitment rates for salespeople. The Q-2’11 10Q filing to the SEC reports net sales of $2.8 billion generated by 6.5 million salespeople. That figure is based on Avon’s sales to the salespeople. Avon does not track the actual sales by the salespeople to retail end-users. That’s an average of just $144 a month of purchases per salesperson. Average net profit on such a small base of inventory purchases would be negligible. Avon does not reveal the amount of income based on position on the sales chain. It is reasonable to deduce that most salespeople must be in the lower ranks and therefore earned considerably less than the “average” and that average is only a few bucks a week. Also, Avon does not reveal what the average costs are for the salespeople it recruits. So, even a calculation of some tiny “income” does not indicate any profit. Interestingly, the USA Today article also featured the same recruitment-based sales strategy of another direct selling company, Silpada Designs, and Avon acquired that very same company just a year later. In July 2010, Avon announced plans to acquire Silpada for $650 million. The company claimed it had 32,000 “independent” salespeople in 2010. Perhaps the most telling illustration of the shift at Avon was in its 2009 annual report to the SEC where the company candidly explained that gaining revenue by recruiting more salespeople who are induced to buy products is an effective counter-measure to offset reduced market demand for Avon products. Avon’s sales in the USA have been declining for more than five years, down about 10% from 2005 levels. The average order per sales representative also is declining. Yet the number of sales representative keeps increasing. In 2009, the number of active representatives at the end of 2009 was 3% more than the year before while revenue for the region was down 9%. The data raises an obvious question: Is it justifiable to aggressively recruit new salespeople into a declining market and with existing salespeople ordering less and earning less? Does the sales and ordering data render Avon’s recruitment infomercials and its Super Bowl ad a form of false advertising? However Avon spins it, the annual reports to the SEC confirm that Avon’s financial fate is now inextricably tied to recruiting more and more salespeople, an obviously unsustainable goal. This impossible quest is aggressively and heedlessly conducted regardless of the salespeople’s decline in average sales, lowered profitability for the salespeople, and the recessionary market conditions within the Avon’s product sector. Building a business based on endlessly inducing new investments from a churning sales force requires specialized competencies and ruthless determination. Due to regulatory negligence, there may be little to fear from regulators regarding pyramid practices or misleading income claims – at least in the USA where the FTC largely ignores pyramid selling schemes – but this kind of marketing practice requires unique corporate values and marketing competencies, which Avon may not possess. Though Avon demonstrated some skills in capitalizing on the Recession for pulling in new salesperson/investors, this icon of direct selling may not be equipped to succeed on its multi-level marketing path. As Avon divulged to the SEC, recruitment levels dropped in 2010. As a recruitment-based business, Avon’s new competitors will no longer be Revlon and L’Oreal, but Herbalife, Amway and Nuskin. Measured against these recruitment sharks, Avon is a rank amateur, and while it focuses on sales force recruitment, it may lose its edge in product branding and customer loyalty on which it built its reputation and customer base. Those other MLM companies have never built customer loyalty, sustainable customer bases, profiitable sales forces or brand equity for their products. Unlike Avon, they have nothing to lose from all-out, take-no-prisoner campaigns to recruit salespeople’s dollars. Avon’s stock price has languished in the last five years following its strategic refocus toward selling its infomercialed and Super Bowl promoted “income opportunity.” The stock price is less today than it was in 2006 despite top line revenue growth and more global expansion, about $33 in July 2006 and less than $29 same time in 2011. MLM schemes such as Nuskin and Herbalife – experts in conducting all-out recruitment campaigns and they operate in nearly as many coutries as Avon does – have shown extraordinary share price growth during this time. Herbalife tripled in price and Nuskin more than doubled. Both of those schemes have been repeatedly sued and prosecuted for pyramid fraud and for making false income or product claims, but they began as multi-level marketing compnaies. They did not have to learn that strange and shady trade or manage a transition from traditional direct selling. Beyond its stock value, Avon’s reputation may be taking a hit as well. Complaints about the questionable value of an Amway “income opportunity” are increasingly showing up on the internet. A Yahoo search for “Avon and pyramid scheme” produced 365,000 pages. It is in China where Avon’s new efforts at marketing an income opportunity over a branded product may be coming back to haunt it. After embracing capitalism, China was seen as the the greatest opportunity on earth for all direct selling companies. But in 2005, just as Avon adopted its MLM-type recruiment strategy, China outlawed multi-level markeing as inherently fraudulent. Though other MLM companies are operating in China under the new anti-MLM restrictions, Avon appears to be not faring well at all. Sales, in fact, dropped precipitously from 2009 to 2010 from $353 million to $229 million, 36% down. Active sales representatives in China also delined by 39% in the year. At this level of sales, and after five years of investment in that once promising and vast new territory, China represents only about 2% of Avon’s global revenue, and falling. Avon appears to have run afoul of China’s anti-pyramid laws as well as America’s Foreign Corrupt Practices Act. Bloomberg News reported in May, 2011, “Avon is probing possible corruption in other countries after firing four executives over bribes to officials in China. The company suspended the four in April 2010 as part of an internal investigation into its compliance with the U.S. Foreign Corrupt Practices Act. The executives included the general manager and finance chief of the company’s China unit…” The costs of two-year “internal investigation” that Avon is conducting into corrupt practices in Chian and elsewhere have reportedly topped $150 million. In China, Avon may also face prosecution from that country’s government. Chinese media have reported Avon may face financial penalties and possibly take “criminal responsibility if it is found to be involved in multi-level marketing.” Under China’s Regulations on Forbidding Pyramid Selling, parties who introduce, lure or force others to join in multi-level marketing shall have the relevant assets and illegal income confiscated and fined. Serious violators can be punished by law. To be clear, Avon is still not an Amway. There are significant differences in Avon’s current model that root it in direct selling and differentiate it from typical MLM pyramid marketing. Unlike virtually all other MLM companies, Avon has company-employed managers who oversee recruitment and training of newly enrolled “independent” salespeople. Unlike nearly all other MLMs, a newly recruited Avon saleperson cannot immediately recruit other salespeople without achieving the level of “leader.” The gross profit available to a beginner Avon sales rep is substantially higher than most other MLMs offer. Avon advertises its brand, giving a boost to an Avon rep’s own marketing efforts. And Avon limits recruiting to three levels, though the chain is unbroken. Yet, the MLM model is one that it is very difficult, pehaps impossible, to adopt only in part. Avon – fundamentally – is, or was, about selling health, beauty and jewelry products. MLM – fundamentally – is about selling a “business opportunity”. Indeed, since the MLM model is based upon constantly inducing new capital invstments from the saleseople, it is not just a business model. It is a definable industry sector. Many MLM contracts include non-compete clauses restricting the salespeoeople’s rights to work with any other MLM company, no matter what the product (soap, cosmetics, weight loss meals, insurance, vitamins, etc.) The true product of MLM companies and what they really “sell” is, in fact, one and the same for all of them – the promise of “unlimited” income, based upon continuous recruiting. As some companies have stated plainly, the MLM model is the MLM product. Avon management has led the company deeply into this sector. Unless Avon’s management fully and coldly understands the marketing requirements, values, culture, regulatory risks, and financial demands of this sector, Avon may have truly lost its way.